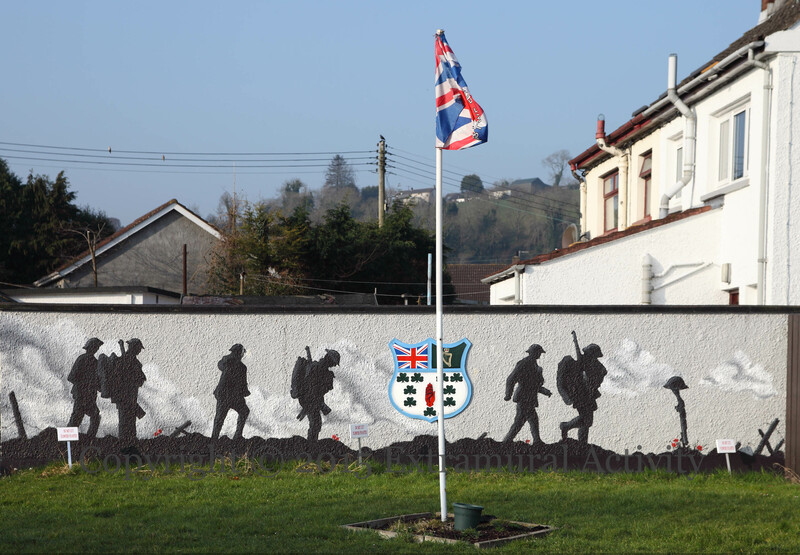 The Somme mural in Glynn, County Antrim has been repainted. 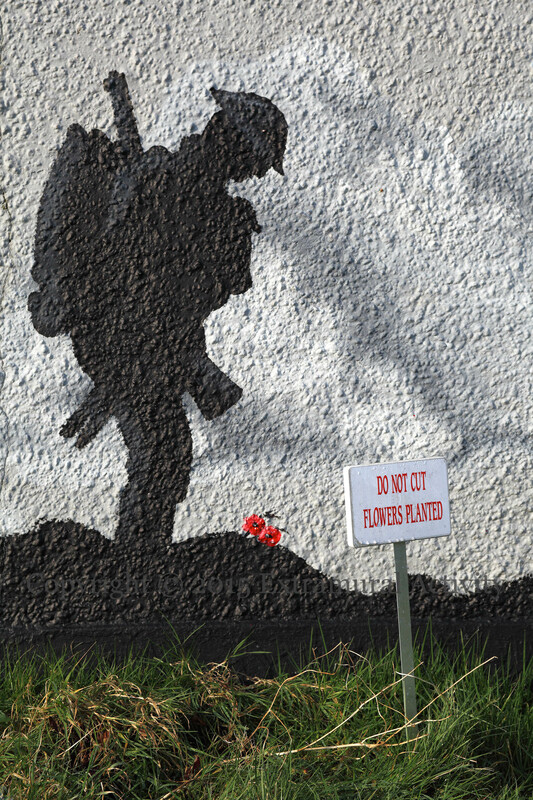 The previous version had troops silhouetted against the colours of sunset; the new version has them against a cloudy sky and includes a grave and poppies. wonder if its time to stop calling these world war 1 memorials “loyalist” . Granted i know that most nationalists would have nothing to do with them, but there have been many recent moves to show the people from both sides who were involved. Perhaps WW1 as a tag instead of loyalist would be better? A “WWI” tag would be helpful, if only to save us from typing it at the bottom of every post (in order to make it show up in a search for “WWI”). “Loyalist” and “Republican” denote the area, not the content; even ‘community’ murals and street art are tagged as “L” or “R”, if they’re in a PUL or CNR neighbourhood. So, a WWI mural in a CNR area would be tagged “republican”. Maybe we should change those tags to something broader, like “PUL”/”CNR”. On other web sites, “L” and “R” mean a political mural; but that leads to the task of distinguishing political from cultural or historical murals, which doesn’t seem to us to be a clear or even a real distinction: a Celtic or Rangers mural is political (it seems to us). A similar problem arises if one tries to restrict “L” and “R” to “paramilitary” … the categories are quite porous. Ah right. Thanks for replying. I suppose there are problem inherent in labeling in all spheres. I aim for better accuracy though. The tendency of some to decry the practice in total as outdated or some kind of ____ist practice does my nut in.